All music, unless specified otherwise, is covered under the Creative Commons Attribution-NonCommercial-ShareAlike 3.0 Unported License. Find out more at creativecommons.org. The views, ideas, and opinions expressed on this site are soley that of the author and do not necessarily reflect that of Gallery Church Baltimore or any of its affiliated groups/individuals. Over the holidays this past year, Kara and I got to stop and visit with my grandparents for a couple days. With sharing time between the families, we only get to see them about once every couple years, so it was a really special time for us. I have come to love and value them so much and I love sitting and listening to their stories of faith and trust in God. It makes me feel so small and realize that I have so much to learn in my journey with God. My Grandpa sat back and said, “Son, I can tell that you are searching and seeking right now,” Boy, was he right. He started telling me stories of his own experiences with the Spirit, with men he respected who came to meet with him and were able to answer all of his questions without him having to ask a single one. He then pulled this book off the shelf and opened it up. 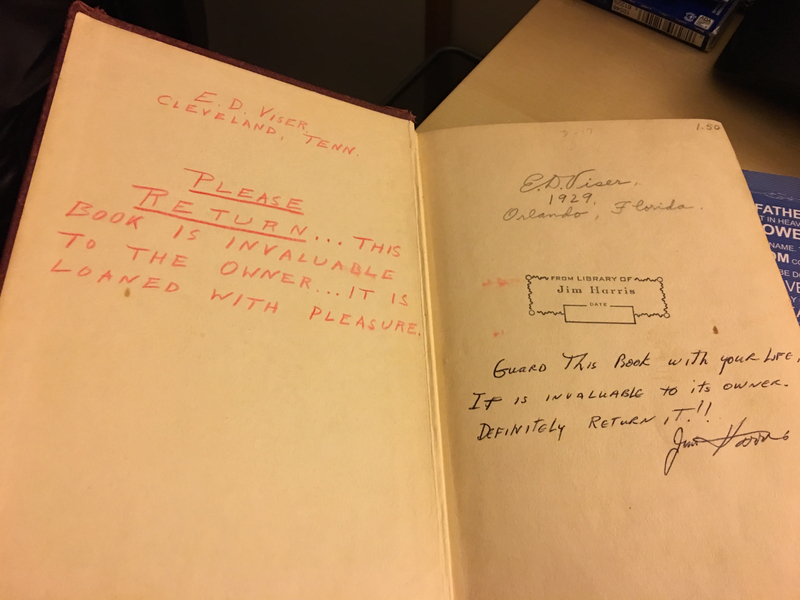 As you can tell, both the previous owner (who gifted his library to my Grandpa when he was fresh out of seminary) and my Grandpa deeply treasure this book. He was very quick to tell me, “I’m not giving this to you—it’s a loan, so return it!” He said that this book continues to shape his experience and understanding of the work of the Spirit upon the lives of people in the church. 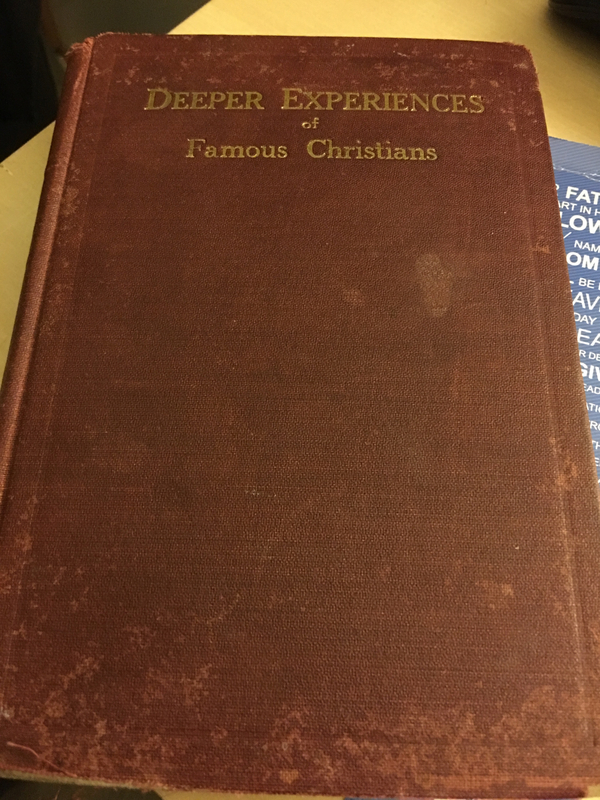 –The Spiritual life is a similar journey, yet unique to all– In almost every account, there was significant struggle in early life and a deep-seated desire to have “more” of God. However, the path of discovery and experience was different. For some, they had ecstatic experience or the “strongly warmed” feelings of Wesley. For others, there was a gradual and prayerful trajectory toward God, spurred on by little moments. –Sin is an obstacle to Spirit-filled living-Most every life outlined in these pages displayed some struggle against sin. Whether it was continued practice in sin or living with sin unconfessed or significant pride or apathy, everyone had to surrender significantly to better participate in the life God was calling them to live. –God works through Spirit-filled and Spirit-guided people, not simply the “best”-Most of the biographies outlined in the book were of ordinary men and women of ordinary means. Many were unschooled and were living fairly insignificant lives. Yet when God’s Spirit got ahold of them, thy were used to do incredible things. Their fame was the result of the Spirit’s work in them, not the other way round. So, what do I know about the Holy Spirit? Simply, that I want and need more.